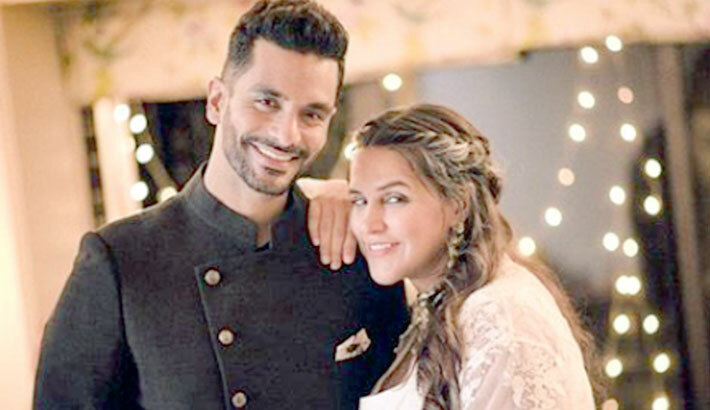 Celebrity couple Neha Dhupia and Angad Bedi welcomed their first child - a baby girl - on Sunday morning, reports PTI. The couple’s friend Sophie Choudry was the first celebrity to congratulate the couple! Earlier in August, the pregnancy announcement was made like this: “Here’s to new beginnings,” Neha had written in the post while Angad added: “Turns out this rumour is true!” Karan Johar, who also made the couple’s wedding announcement on social media in May, was one of the first ones to congratulate the couple on the pregnancy. Soon after Neha and Angad’s hush-hush wedding, it was speculated that the actress’ reported pregnancy may have urged the couple to get married in a rush. While before making the pregnancy announcement, Angad had denied the reports, in the previously mentioned episode of No Filter Neha, he confirmed that the wedding was planned in a hurry because of Neha’s pregnancy. In previews interviews, when Neha was asked about the reason behind their decision to keep the wedding under wraps till the D-day, she said it was because both she and Angad are very particular about their privacy and would want to keep their personal life away from the media glare.